Earlier this month we brought an issue to your attention with regards to the size of Apple’s new Retina apps and the 20MB 3G download limit. The issue is that these apps would be too large to download over 3G or LTE connections as they would double or triple in size. After an increase in download cap was reported by Appadvice, we went on to confirm that the download limit over 3G and LTE connections has been raised to 50MB. 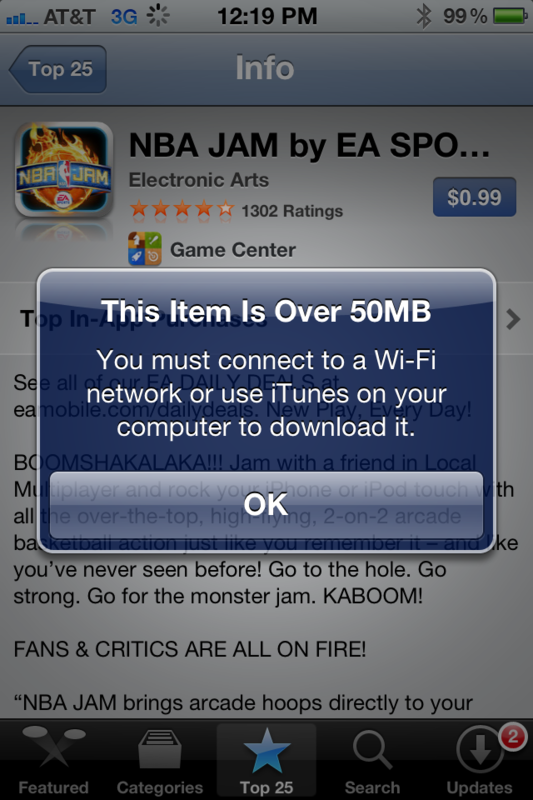 This applies to apps, music and video downloads from the App Store and iTunes Store. We conjectured at the time that Apple would use its leverage with the carriers to force the issue and upgrade the 3G (and now LTE) download limit. Looks like it did just that.